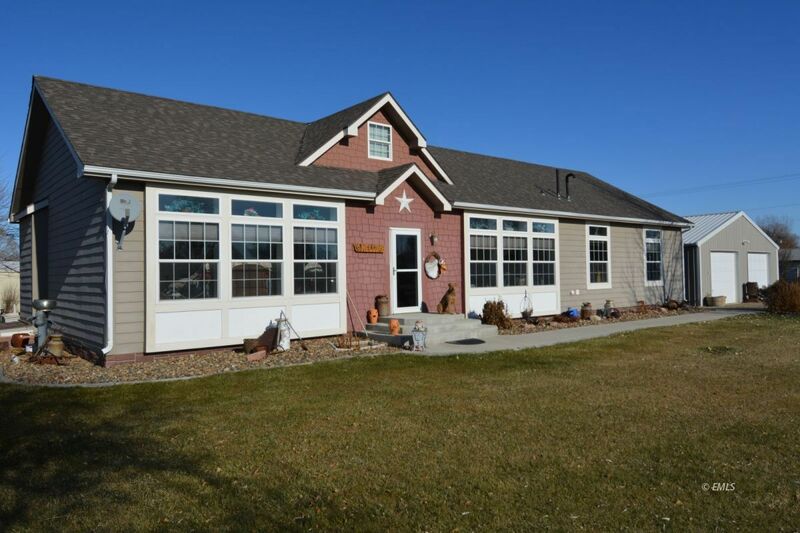 This home is located in the quaint town of Fallon, Montana. It will captivate you from the time you set eyes on it. From the purposeful landscaping to the open concept living space to the livable shed in the side yard...you will want to make this home yours. You can get lost in the solace of the community while you are out and the large soaker tub next to the bathroom fireplace while you are in. This three bedroom, two bath home also features a plethora of natural daylight, beautiful hickory kitchen cabinets, a nice sized laundry room, large walk in master closet, two car garage, and two private wells. You can share the warmth of the home with your family and friends while barbequing on the back porch - or by watching the game and kicking back in the "shed" that hosts a television, bar, two options for heat, and multiple options for function! Every aspect was purposeful, well done, and exceptionally cared for. Schedule your viewing today!